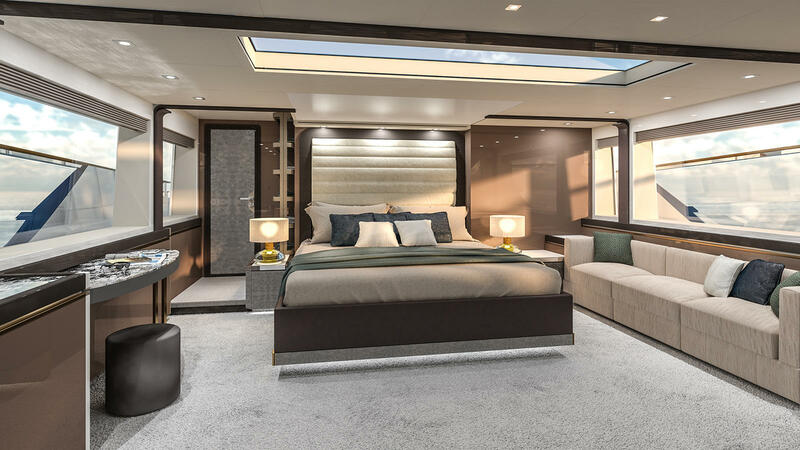 The Monte Carlo Yachts range of Nuvolari Lenard-designed planing yachts is set to expand, after the yard sold the first three models in a new 29.26 metre series called the MCY96. 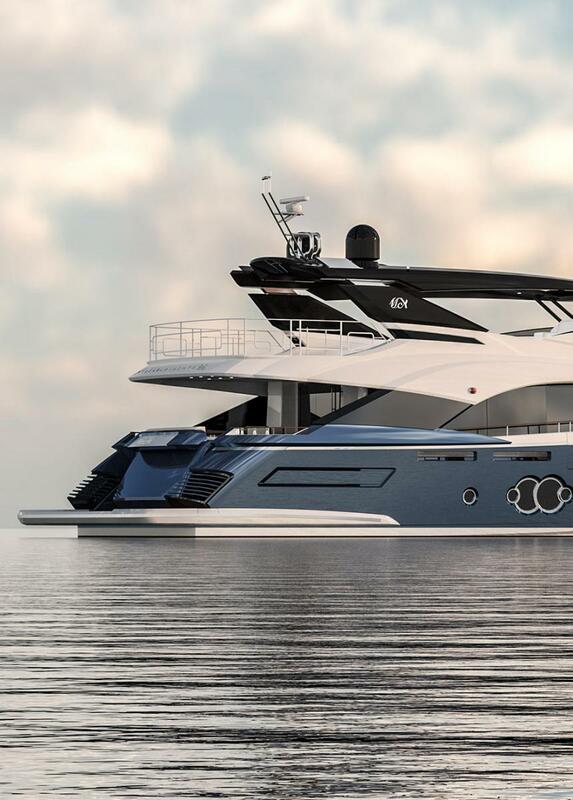 Due to launch in July, the first MCY 96 will be built from a GRP hull and superstructure to RINA standards, but Monte Carlo Yachts adds that future models can be built to MCA or CE Category A standards upon request. 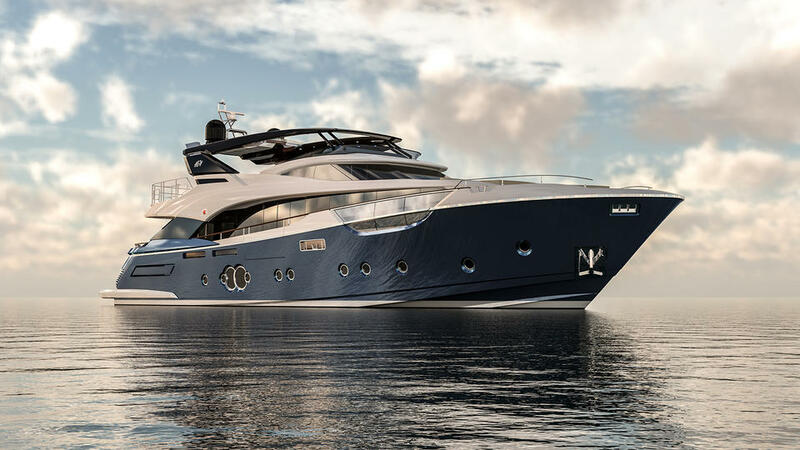 Carla Demaria, president of Monte Carlo Yachts, explains that the styling of the MCY 96 is influenced by the highly successful MCY 105 range, which has spawned more than six hulls since its July 2015 launch. As with previous models in the range, both the exterior and interior styling have been entrusted to design duo Carlo Nuvolari and Dan Lenard. The hallmarks of the series can be seen in the smooth lines, high bow and sleek profile, reflecting the studio’s future classic design philosophy. The general arrangement, engine installation and estimated performance figures are yet to be disclosed, but the preliminary renderings show that the MCY96 will feature an open-plan saloon with a large C-shaped wrap of seating aft of the formal dining area. 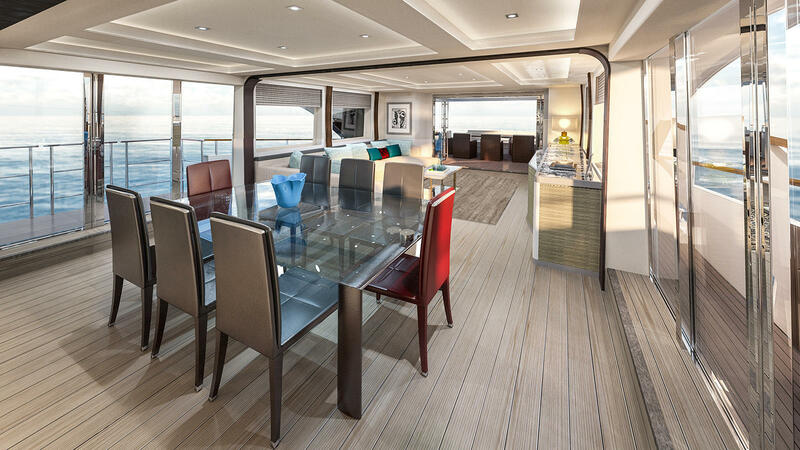 Key highlights include a full-beam owner’s cabin, while the cut-out sections in the superstructure suggest a fold-out superyacht terrace will be fitted to the saloon. Other projects currently under development at the Nuvolari Lenard studio include the 139 metre Lürssen superyacht Project Redwood and the 66 metre Turquoise yacht Project NL233.